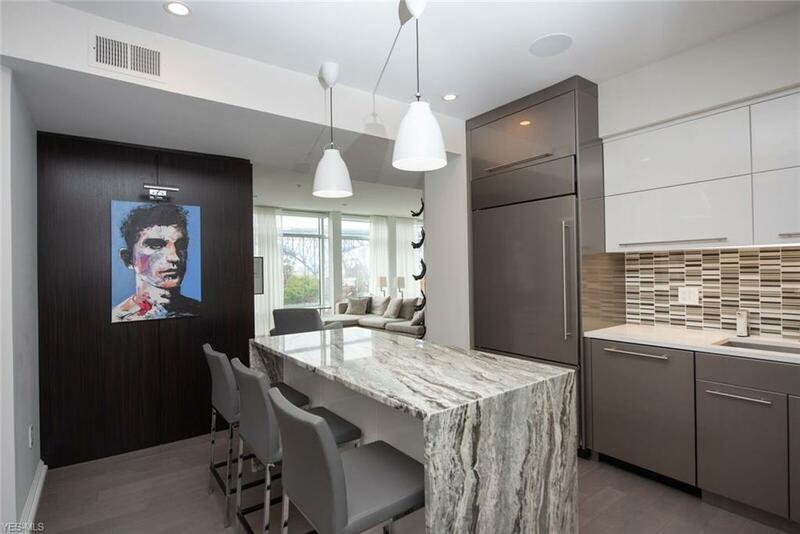 Stunning corner condo at Stonebridge Plaza. 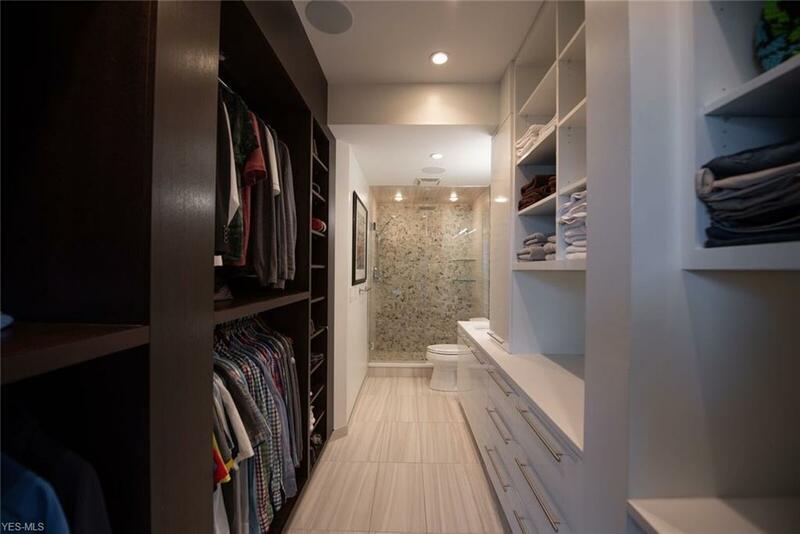 Designer upgrades throughout including completely redesigned master suite with barn door, organized walk through closet leading to beautiful tile and glass bath. 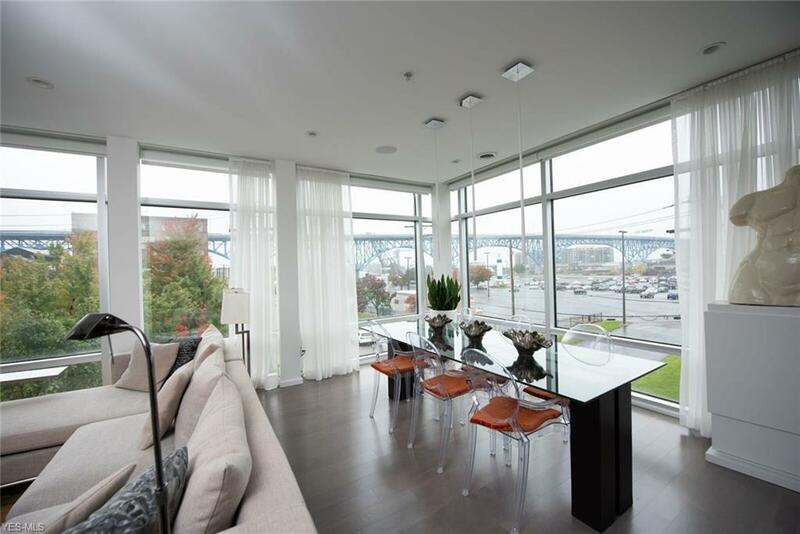 The floor to ceiling windows in the living and dining room take in the sweeping views of the bridges, buildings and action of the Flats. Each window comes with remote operated blinds. Large mirrored barn door leads with the second bedroom/office with balcony overlooking downtown Cleveland. White and gray kitchen with granite island island, quartz countertops, tile back-splash and large wall of pantry cabinets for plenty of storage. Laminate flooring and can lighting throughout. Current owner has re-imagined the space to bring out its utmost potential. Steps to downtown or the Hingetown area of Ohio City. 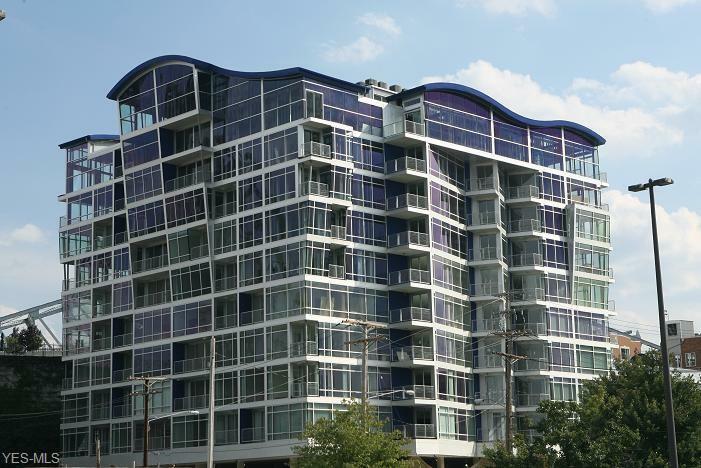 Easy access to University Circle, Tremont and Gordon Square. Listing courtesy of Progressive Urban Real Estate. Listing provided courtesy of Progressive Urban Real Estate. Listing information © 2019 NEOHREX Multiple Listing Service. All rights reserved. The data relating to real estate for sale on this website comes in part from the Internet Data Exchange program of NEOHREX. Real estate listings held by brokerage firms other than Howard Hanna are marked with the Internet Data Exchange logo and detailed information about them includes the name of the listing broker(s). Information Deemed Reliable But Not Guaranteed. The photos may be altered, edited, enhanced or virtually staged. Data last updated 2019-04-22T14:07:29.597.